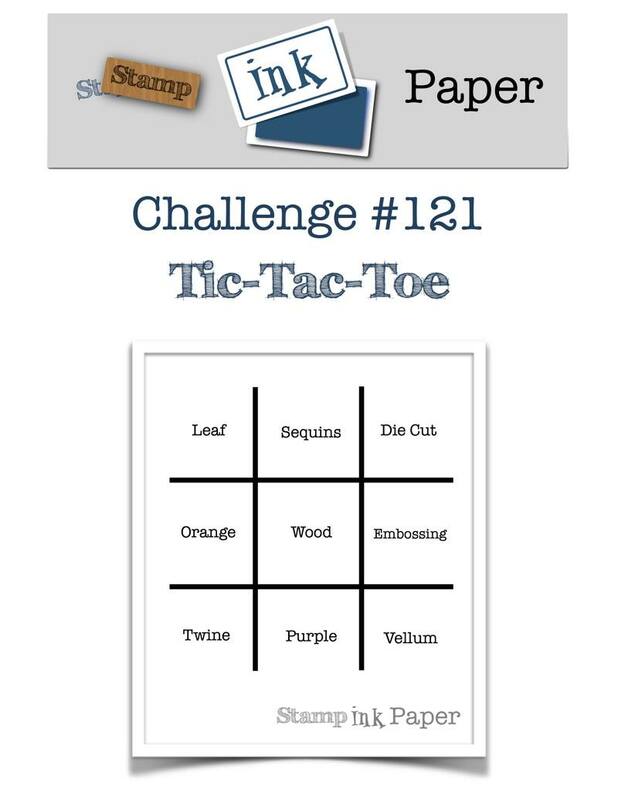 Welcome to this week's Tic Tac Toe challenge at Stamp, Ink, Paper. Here's the board we are playing with. You may choose to go Vertical, Horizontal or Diagonal. I've decided to go Diagonal for my Christmas Card using Diecut, Wood and Twine. The cardstock I've used is Sahara Sand and Real Red with some paper from the Wood Textures paper stack. I've used the Boxwood Wreath embellishment from the Holiday catty on this card combined with Twine to create a wreath on the front door look and the die is from the Christmas Greetings thinlits. I hope you like my card and leave me a little comment so I know you've visited. 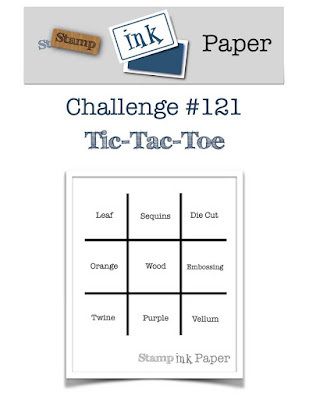 I enjoy hearing from you and hope you will play along with the Tic Tac Toe board. For more inspiration please view the cards in the Gallery from our talented team. Thanks for joining us this week at Stamp, Ink, Paper.